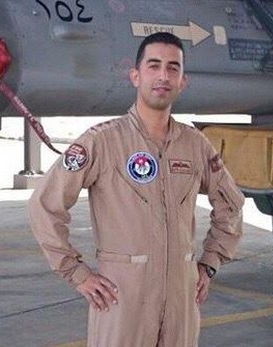 The following is not research or analysis, but a few reflections on the film released by IS in which Jordanian pilot Muaz al-Kasasbeh was burned alive inside a metal cage. I won’t claim that my moral reflections are especially profound, but I believe the traumatic nature of this event warrants further conversation. The anthropologist Talal Asad has famously asked what it is about certain kinds of violence, such as suicide bombing—and we can extend the question to IS’ regular use of beheadings—that evokes greater horror in observers than state-administered violence, which can often be further-reaching or more massive, as in the case of war. I don’t have an answer to the question, but this video, perhaps the goriest that IS has produced so far, was brutalizing to watch and is very capable of effecting trauma. Produced with audio and visual effects to resemble a horror film, the video is abusive to the viewer. By turning killing into theater, IS has uncomfortably blurred the lines between reality and performance. Beyond empathizing with how painful such a death must have been, I couldn’t help wondering what was it like for Muaz to die as the eyes of several cameras stared into him. By viewing the footage, IS does a kind of violence to me—or perhaps I am doing violence to myself by choosing to watch. There seems to be something problematic about becoming consumers of this horrific product that IS pushes. Does that extend to the political analyst? The intelligence analyst? Who legitimately needs to consume this product and who should not view it? Though some experts will inevitably have to analyze this kind of material, promoting it to the public is reckless and harmful and will only help IS do violence to more people. On Tuesday, Fox News posted the entire, uncut video on its website and even aired portions of it on television, something no other media outlet would do. There’s some irony in Fox News—with its avowedly “anti-terror” agenda—featuring uncut IS propaganda on their website, as others have noted. Also ironic is that some of the images contained in the lengthy propaganda video are of some of the more scandalous incidents during the Iraq War, when US soldiers killed unarmed civilians. These are not the aspects of the war that Fox News would normally draw attention to. The fact that major elements within our country cannot take responsibility for the more uncomfortable aspects of the war, yet then inadvertently provide them to the American public through the lens of a terrorist entity, verges on the absurd. There seems to be a kind of misuse of this heartrending film as Fox News pursues its own agenda. One wonders what the motivations are for publicizing the video to the American people when an English translation wasn’t provided. Without context, viewers might make dangerous assumptions based on this video—like that their Muslim neighbors next door support such sickness. This film necessarily produces anger on the part of the viewer—but to be directed where? Fox News is spreading material capable of traumatizing those who ingest it, without helping them make sense of it. Perhaps they prefer not to translate the propaganda portion of the film, which might raise uncomfortable questions that are easier to avoid. The images of Iraq war violence (that more Americans should have been exposed to and discussed long ago) now being transmitted by Fox News are made more tragic in that they are being presented through the lens of IS’ even more twisted logic. IS includes these images as justification for their own atrocities. That violence can heal is a lie that perhaps humanity may one day outgrow, a lie that now forms the basis of IS’ assumptions about the world. (Even this video was entitled “Healing the Believers’ Chests.”) IS exposes its broken reasoning when, in its videos, it showcases the dead bodies of those targeted by its enemies, apparently to justify its gory executions, yet ignores the countless victims it has similarly killed across Iraq and the Levant, many of whom had never lifted a finger against it. Just as IS members are misled in thinking that violence can produce healing for the Sunni victims of Iraq War violence, we are also misguided in assuming that revenge will produce healing for IS victims. Jordan responded to this brutal message by quickly executing Sajida al-Rishawi, convicted of attempting a suicide bombing in Jordan, and Ziad al-Karbouli, an al-Qaida leader. Jordan’s immediate reaction to the burning—“OK, then we’ll kill some Islamists”—worries me. This logic of revenge isn’t that far off from that which underpins IS’ own thinking. Offenders should be dealt the appropriate penalties for the crimes for which they’ve been sentenced (and I’m not suggesting that capital punishment is acceptable), but not kept on hand until their killing will serve some political purpose. Jordan’s execution of the two Islamists has turned violence into a political tool. Admittedly, that is often the case with violence, yet the violence of the state is, in theory, supposed to transcend the impassioned reactions of individuals, keeping with its assumed role of impartially dispensing justice—which might be why its violence evokes less horror than that of a suicide bomber whose responsibility for acting to punish or exact revenge or effect change cannot be shifted to an institution. And now al-Azhar is calling for crucifixions of IS members, and to have their limbs chopped off. This is also unhelpful. Al-Azhar is basically saying: “Yes, we’ll concede that these punishments you perform are Islamic, yet despite the fact that they haven’t been implemented in recent memory, we deem you to be those evil enough to warrant us bringing them out of the closet.” By calling for the crucifixion and limb-chopping of IS members, they are validating the same fundamentalist positions that IS appeals to, that under certain conditions these punishments should be used. If various groups and parties contend over who deserves to be crucified or subject to amputation, humanity won’t be making much progress. The bottom line should be that such treatment is wrong, and that resurrecting its use represents social decline, not advancement. Both Jordan and al-Azhar’s reactions seem more akin to the sickness than to a solution. Allowing our disgust at IS brutality to define our response risks transforming us into their image, something that would spell victory for them and legitimize their war against the world. The immediate reaction of many upon seeing the video was a desire that efforts to fight IS be stepped up quickly. Today Jordan intensified attacks on IS targets, and the UAE has suggested they may resume their participation in the offensive against them. This is good: the response to IS does require violence, and it should be carried out swiftly and surely—not to satisfy the urge born of our rage and wounds, but to protect the earth and the innocent from this virulent plague. This latest video underscores the fact that IS must be eliminated, to ensure the future security of the region and the globe. This cannot happen without a fight, but it should be a fight of the right kind. Is it possible to fight without hate? It may be difficult in the face of such callous oppression and cruelty, but it is the approach we must strive to maintain. Excellent post as always. It points out so well the inner questioning so many analysts most probably have (or should have) regarding the Islamic State, their psyops products, how to analyse and explain without promoting, and then how to fight and respond. Regarding the current response of Jordan, for example, I am afraid that it is actually what the Islamic State wants, and that it is one of the very reasons why they do and broadcast such videos, to create rage and violence in return. As for the response, maybe we shall really need time, analysis and comprehensive effort before to be able to do it well? How long did it take for the allies to create and operationalise ‘just’ Bletchley Park? We (early 21st century societies) might be too out of touch with war, too used to quick and easy answers to accept that efforts and time are necessary? This feels like sanity in a desperately deluded world to me. Feedback would be appreciated; pro and contra. Mathew why don’t you watch the videos of regime troops burning people alive and burying them alive. These people are the pupils who learned this barbarity in the dungeons of the regimes of the ME. Ask Maher Arrar who was rendered to Syria how he was treated or Dr. Sarraj who wrote a book from Tadmur to Harvard on his days in captivity in Syria. As for the inhabitants of Damascus they will be suffering a lot more after the regime falls as they will be considered collaborators. The ideology has taken root and has created conditions to remain in place just as the Syrian regime has created conditions for its staying power with a state of emergency and security courts you have the mirror image of Wahhabi based emergency state and Sharia courts. There is now a pure sectarian based affiliation identity that is taking root in the entire ME. There are 10-15% of Muslims being Shia and the rest are Sunnis. These are now thrusting political Islam into politics. After the revolutions in Egypt and Tunisia there was glimmer of hope that the democratic discourse has taken root, the coup however has dashed the hopes of establishing a rule of law based civil society and the liberals are once again on the margins. KSA has made a mistake of not letting Islamist truly fail ( they were bound to fail anyway as their slogan Islam is the solution is an empty one without substance or political economic one) but they were afraid of any disruption that would allow people to debate seriously their fate and future. All of the regimes of the ME have a huge dilemma: by suppressing all opposition while at the same time not being able to close the mosque they have been forced to have their own paid clergy to deliver sermons and fatwas to defend their ever pervasive oppression and yet the rug has been pulled from under their feet by holier than though fanatics who have used old age accepted fundamentalist thinking that the paid clergy cannot refute without also refuting their very existence. Refuting Ghazzali and Ibn Taymieh is going back and giving the Mutazeela credence who argued for continued philosophical logical interpretation of the Koran while the fundamentalists shut it down. It goes back to allowing for separation of church and state and it goes back to considering the city state founded by the prophet in Medina to be inadequate as a model of governance. It is like the communists who kept people waiting as they were construction socialism the paid clergy have been asking for acquiescence in the hope that we can reconstruct the idealized city state of the prophet and the khalif rule of the four first ones. The US and the EU are trying to put humpty dumpty together again: that is re establish Sykes Picot when it is clear that it is broken beyond repair and what is going to come out of it is a total unknown. Iran like all its predecessors before it has learned that swallowing a country is easy but digesting it is impossible be it in Yemen or in Lebanon or in Syria. This wishy washy garbage that Susan Rice pronounced as security strategy is Not a strategy it is a wish list of how the administration wishes to see the world. Four months to take back a destroyed Kobani while the regime in Syria is slowly crumbling with rockets being fired on Damascus and Aleppo today in areas under regime control. The map of the south has shown a limited control by the regime in those areas, the rockets on Latakia have brought home that even the coast is not immune. We need to get out of this region and let it settle its own scores. I know that it was assumed with the earlier beheadings that IS wanted to draw the US into a conflict. But the scale of the Jordanian response to the burning, and the damage that the new spate of airstrikes is doing to IS, makes me wonder if that really could have been their desired outcome. Or perhaps they expected the harsh and swift reaction, and simply wanted to reach their target audience of prospective recruits. Juan Cole has never met a terror organization he hasn’t apologized for and blamed on the West. America and Israel in particular. Thanks for providing your article, John. I was glad to read it. Jordan did not act without a green light from the US, the king had no choice but to respond. It is funny, or not so funny, that Isis and nusra were tolerated, and at times supported, by western governments or their puppets in the GCC and of course Turkey but things changed when Isis started to ” cross the red lines” , those redlines did not exist when Islamist terrorists were slaughtering soldiers and civilians right and left !! To defeat Isis a major change in Iraq and Syria has to take place which requires the cooperation of KSA and Iran, and until the two countries stop their proxy wars Isis will continue to survive but not necessarily thrive. The brutality of Isis offended most people including those who oppose Arab regimes and western intervention in the region. Isis in my judgement has started its decline but to end this sick phenomenon other measures beside air bombardment need to be taken: KSA and Iran need to talk. By the way, major military offenses are underway in Syria as we speak, not sure what to make of this except that new wins by government troops are not likely to make KSA and Turkey more receptive to Russian proposals. I have followed you (both) over a long period and greatly respect your knowledge opinions. However, as I read this article my immediate response was “welcome to the Middle East”. Obviously anyone with an ounce of humanity is initially shocked and continuously repulsed by the inhumanity of it all. Even if the mechanism is “new” the depravity is not. We see so many examples on a daily basis and in reality is immolation distinctly different from or worse than stoning or crucifixion or systematic starvation? So where is the shock for practiced observers as yourself? And you are obviously correct, the average American should not think that his Muslim neighbour approves of this, s/he doesn’t. Well at least 93% object to suicide bombing in general according to the recent PEW survey. On the other hand s/he should be extremely worried that 7%, equivalent to hundreds of thousands, do approve and support terror.